Kate chose a Dolce and Gabbana coat for an ‘away day’ with William in Sunderland, in northeast England. Kate was in a mix of brands for today’s morning engagements on day 4 of the royal tour. NOTE: Some of you may have seen me reference a second post to deal with the activities after the welcome and Palace arrival, but I decided to keep it all in one post, including the outside events with Kate in new boots and her alpaca hat. Kate returned to Catherine Walker for day 3 of the royal tour. Kate opted for a coat by Catherine Walker atop an Alexander McQueen dress for day 2 of the royal tour. 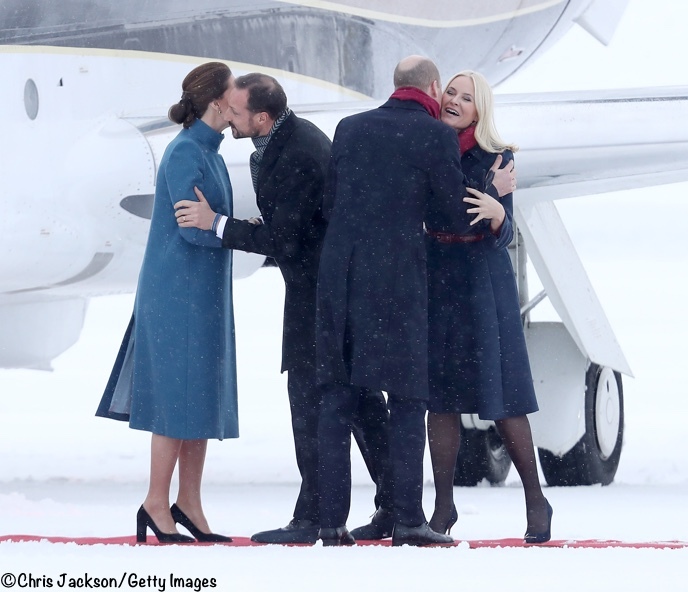 The Duchess wore a coat by a British designer and a sweater from a Swedish company for the first engagement of the royal tour of Sweden.